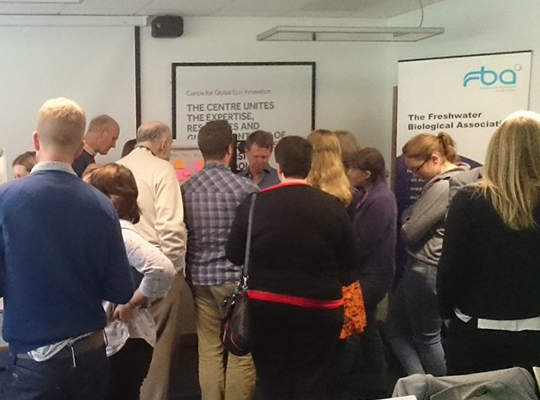 A whole year has elapsed since the first Cumbrian Lakes Research Forum and the event this year proved even more popular. The idea of the forum is to share new developments in lake research, regulation and management, with plenty of time for discussion of key issues affecting lakes and freshwaters. This provides a welcome opportunity for interaction between scientists, policy makers, lake and land managers, Rivers’ Trusts, water industry and interested citizens. This year we welcomed participants from across the country as part of a collaboration with the Midlands and Northwest Freshwater Group, while members of the Freshwater Biological Association also held their AGM as part of the meeting. The Cumbrian lakes make a great focal point for a meeting of this kind, as they are some of the most well studied in the world. At CEH we carry out important long-term monitoring of a number of these lakes which goes back over 70 years and operate a number of high resolution in situ monitoring buoys which together allow the study of environmental change and lake ecosystem functioning. Research in this ‘lake district’ has yielded important insights into lake processes across physics, chemistry and biology, and important case studies of lake management interventions aimed at restoring degraded lake systems. 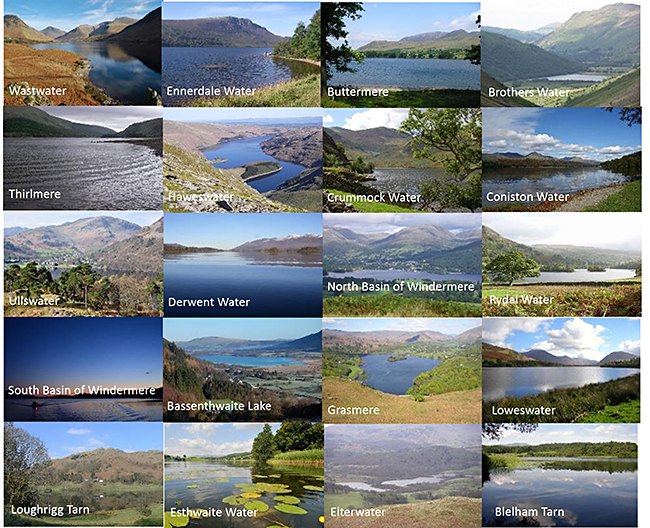 Research in this ‘lake district’ has yielded important insights into lake processes across physics, chemistry and biology, and important case studies of lake management interventions aimed at restoring degraded lake systems. The talks this year reflected the broad range of lake research, regulation and management in Cumbria and more broadly across the country. Topics covered in the morning session included the methane-fuelling of coupled lake-terrestrial foodwebs; the contribution of Cumbrian lake plankton and fish data to national assessments of changes in seasonal timing and the potential for trophic mismatch; the need to understand lake habitat integrity including the linkages between the lake and its surrounding catchment; a study on invasive species and a rare Cladoceran in Overwater, a whistle-stop tour of the UK Lakes database and new developments in citizen science for algal bloom reporting. In the afternoon there were talks looking at the results from the Lakes Tour 2015 and the changes in 20 Cumbrian lakes occurring since the 1980s. This was followed by a presentation outlining a lake restoration project being carried out at Elterwater and finally a talk on the implementation of the Water Framework Directive for English lakes, highlighting the improvement in knowledge that this legislation has driven. See the Storify below for more details and download the presentations at the bottom of this page. The Forum also provides a great opportunity for discussion and two sessions, in addition to informal networking time, were used to encourage the interaction of participants (although not much encouragement was necessary). The different experience and backgrounds of people attending provided a range of views on the four discussion themes: emerging environmental threats, monitoring and measurement challenges and opportunities, collaboration and funding opportunities and improving communication between scientists, policy makers and the general public. Key priorities across these themes were the political threats of changes occurring in the wake of Brexit, the need for not only better data sharing but working together across organisations to help interpret data appropriately, the necessity for more sustainable funding and simpler procurement processes and the idea of a lakes champion within the media to engage the public in freshwater science and demonstrate the fascinating and vital role our lakes play in our lives.